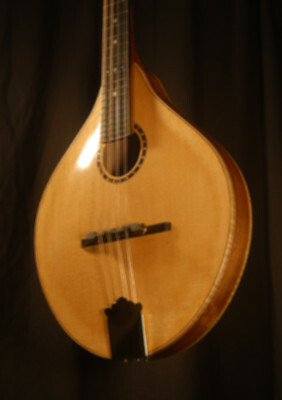 This mandolin has an "A" body style with an oval sound hole styled lengthwise and sized differently than the "standard" AO mandolin. This model is in development with two prototypes in process. 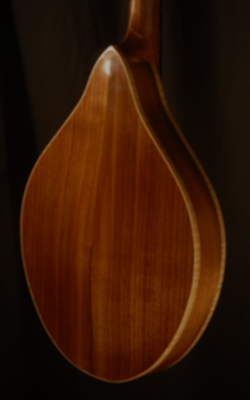 The intention is to make a mandolin with a very crisp and cutting tone. This is intended for those who would like a crisper much edgier voice than a traditional bluegrass instrument. Unlike traditional mandolins This instrument has the fingerboard extention foating over the top more like an archtop guitar.